Shop Hosa STP Insert Cable Right Angle 1/4" TRS to Dual Right Angle 1/4" TS from AMS with 0% Interest Payment Plans and Free Shipping. Hosa Insert Cables are great for portable rigs. 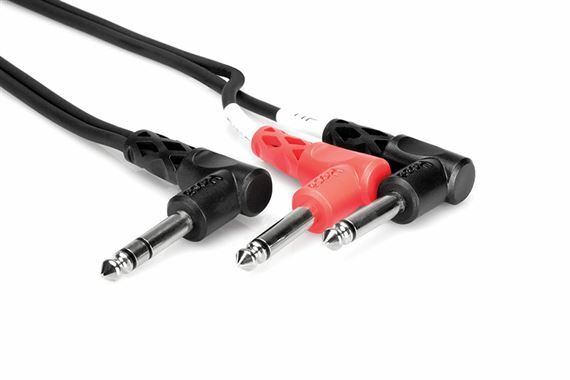 This cable is conventionally wired (TIP = Send, RING = Return) and may be used as a "Y" to split stereo signal into Left and Right. In this case, Right = RING and Left = TIP.